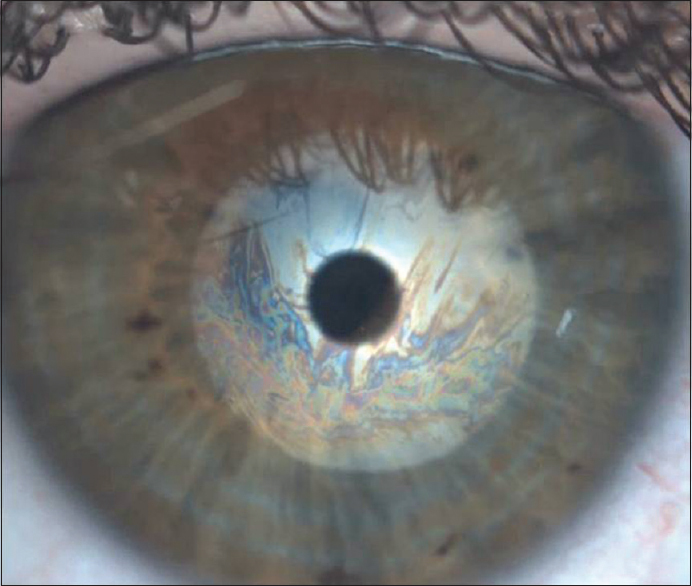 The accurate diagnosis and classification of dry eye are complicated by the heterogeneous nature of the disease and the variability of signs and symptoms. Various diagnostic assessments have been proposed to qualitatively and quantitatively characterize the entire ocular surface system. However, to date, no universally accepted diagnostic workup for the diagnosis of dry eye has been established. The tests which are available before are invasive, requiring direct contact with the ocular surface, and subjective, which leads to the possibility of significant observer bias because of a low degree of standardization. 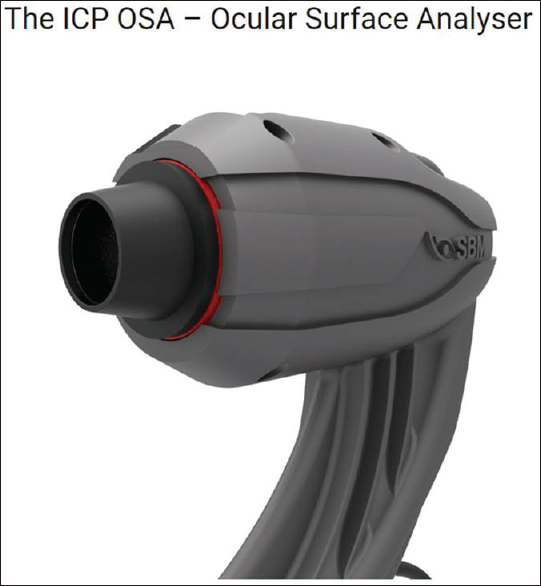 Ocular surface analyzer (OSA) is the new instrument of individual analysis of tear film that allows to do a quick detailed structural research of the tear composition and research on all the layers, that is, lipid, aqueous, and mucin. 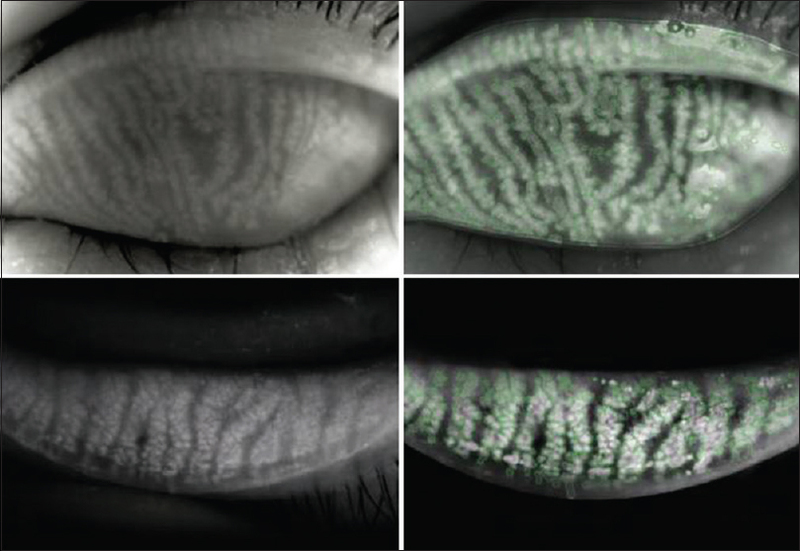 OSA also helps to identify the type of DED and determine which layers can be treated with a specific treatment, in relation to the type of deficiency [Figure 1]. The following parameters can be measured by OSA, and each parameter plays an important role to identify the type of DED. 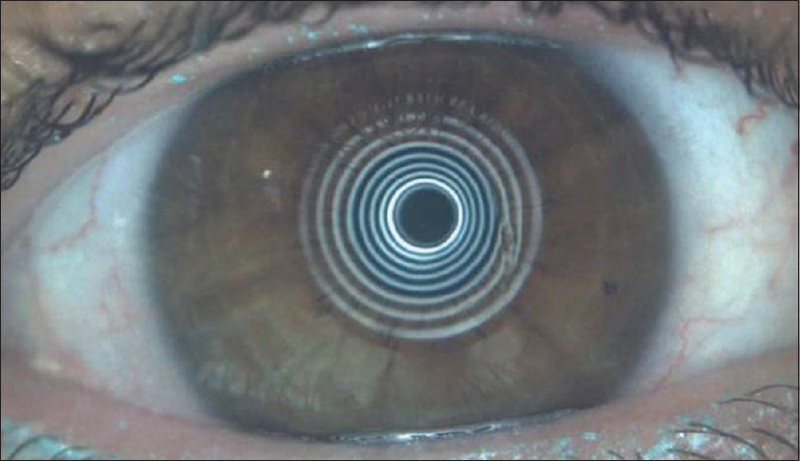 White-to-white (WTW) measurement: Evaluation of corneal diameter from limbus to limbus (WTW distance). Tear meniscus height measurement: Have the possibility to acquire up to five measuring points. 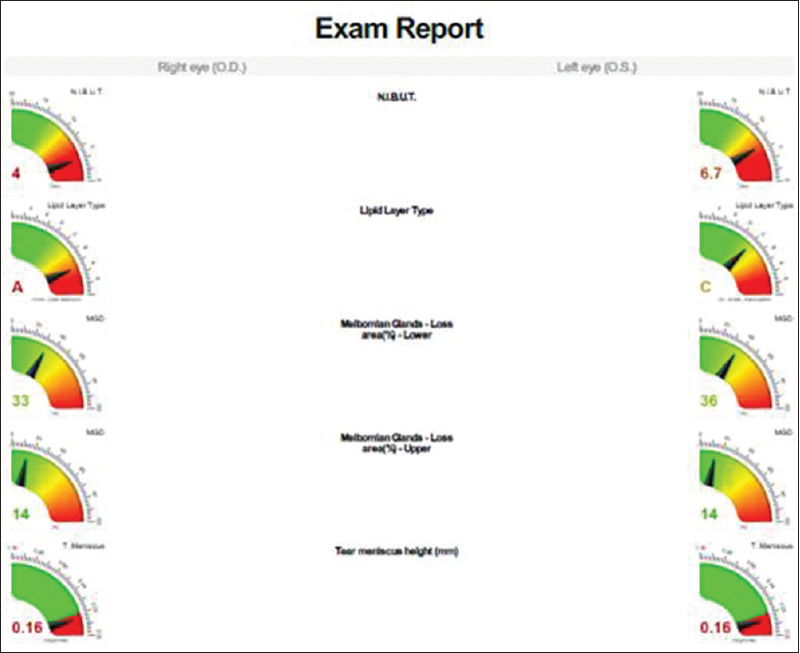 [Figure 6] depicts graphical reporting showing the parameters of OSA, which is self-explanatory and easily understood both by the examiner and the patient. Ji YW, Lee J, Lee H, Seo KY, Kim EK, Kim TI, et al. Automated measurement of tear film dynamics and lipid layer thickness for assessment of Non-Sjögren dry eye syndrome with meibomian gland dysfunction. Cornea 2017;36:176-82. Baudouin C, Messmer EM, Aragona P, Geerling G, Akova YA, Benítez-del-Castillo J, et al. Revisiting the vicious circle of dry eye disease: A focus on the pathophysiology of meibomian gland dysfunction. Br J Ophthalmol 2016;100:300-6. Roy NS, Wei Y, Kuklinski E, Asbell PA. 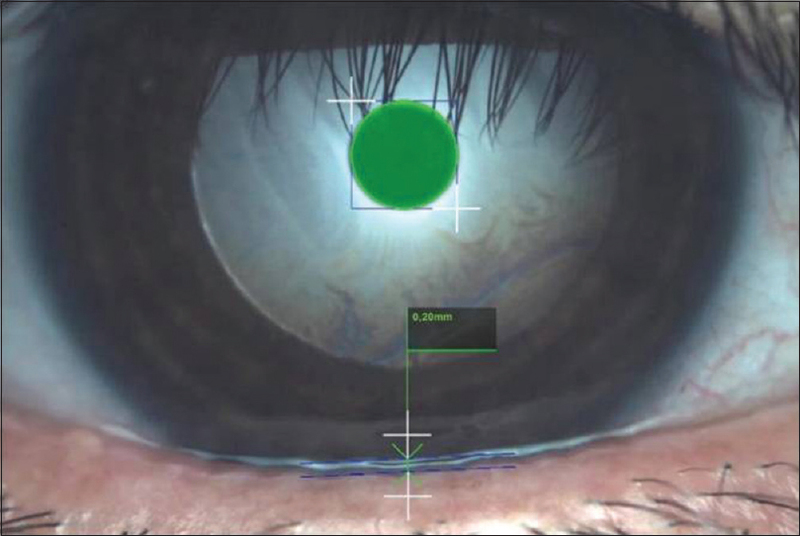 The growing need for validated biomarkers and endpoints for dry eye clinical research. Invest Ophthalmol Vis Sci 2017;58:BIO1-9. Giannaccare G, Vigo L, Pellegrini M, Sebastiani S, Carones F. Ocular surface workup with automated noninvasive measurements for the diagnosis of meibomian gland dysfunction. Cornea 2018;37:740-5.